Over the years, Hutchison Ports has expanded into other logistics and transportation-related businesses, including cruise ship terminals, airport operations, distribution centres, rail services and ship repair facilities. In 2017, Hutchison Ports handled a combined throughput of 84.7 million TEU. Hutchison Ports’ keen understanding and global perspective of the industry has prompted an expansion plan that has secured access to strategic locations all around the world in which Hutchison Ports directly invests in transport hubs that serve a large hinterland and that either already support international trade or which have the potential to become key transport centers. 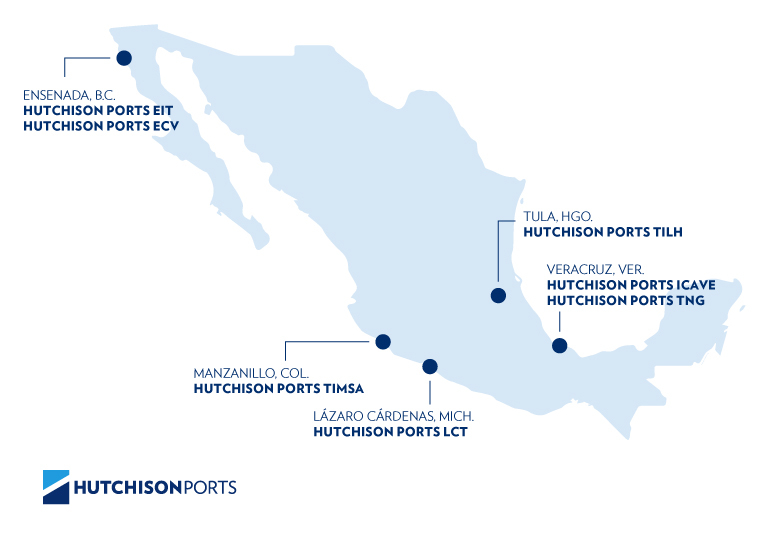 In Mexico, given the geographical location and easy-access routes to the nation´s capital from Hutchison Ports offers services from Veracruz, Manzanillo, Ensenada, and Lazaro Cardenas & Tula.